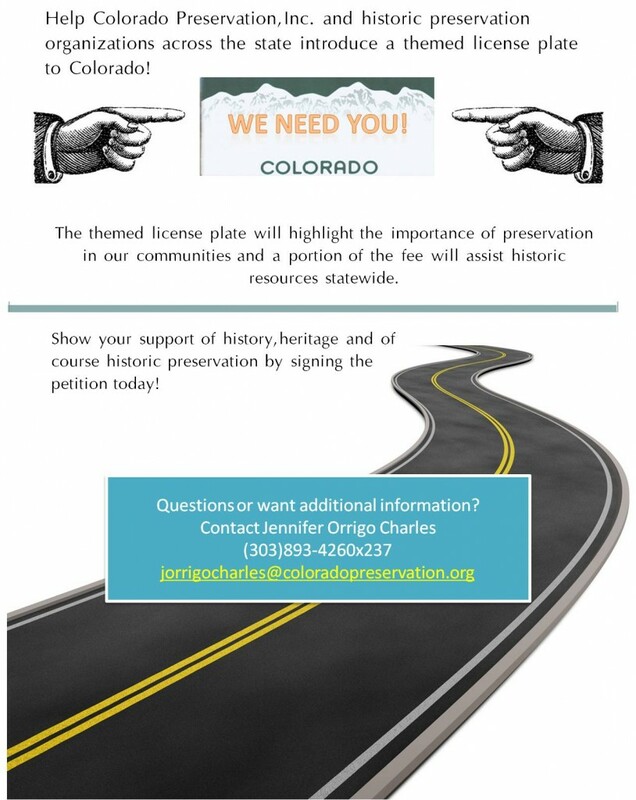 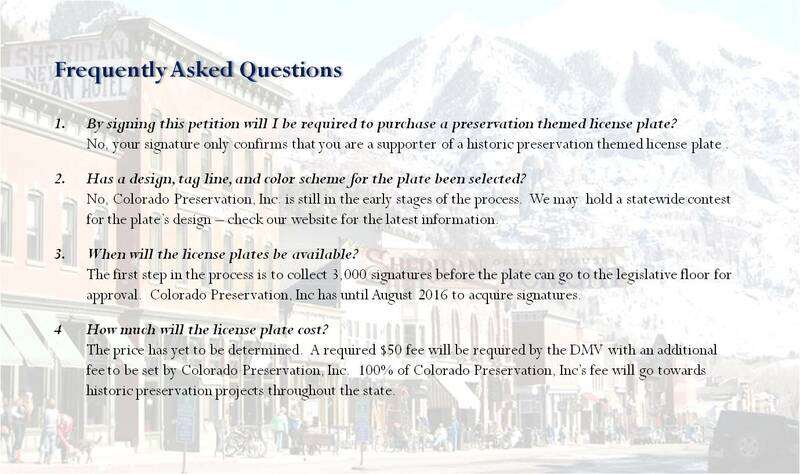 Home > Historic Preservation License Plate! 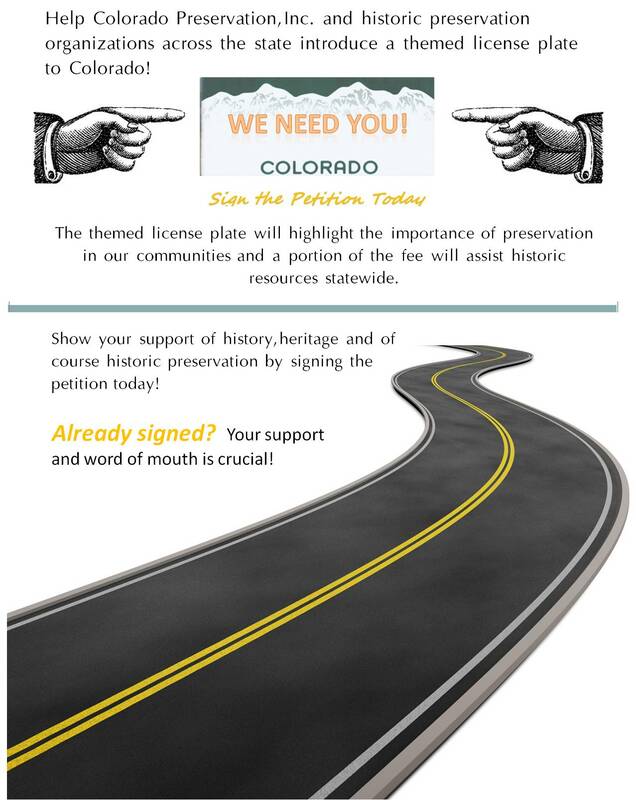 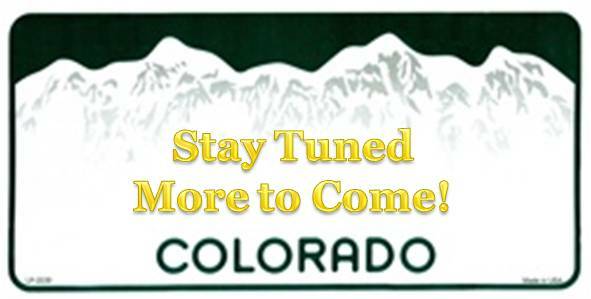 We need to collect 3,000 signatures from Colorado licensed drivers in order to move the initiative forward. 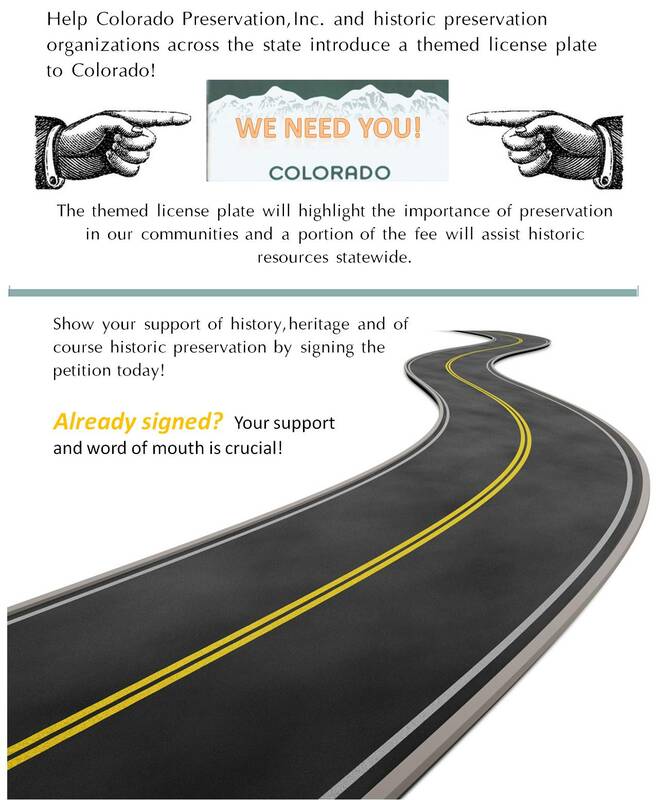 By signing the petition you are not required to purchase a plate, but believe this is a worthy cause. Funds from the themed plate will go to supporting historic preservation projects statewide.